Come downtown Friday for A Wonderful Night in Turners Falls! And be sure to peruse this week’s issue thoroughly before you do. 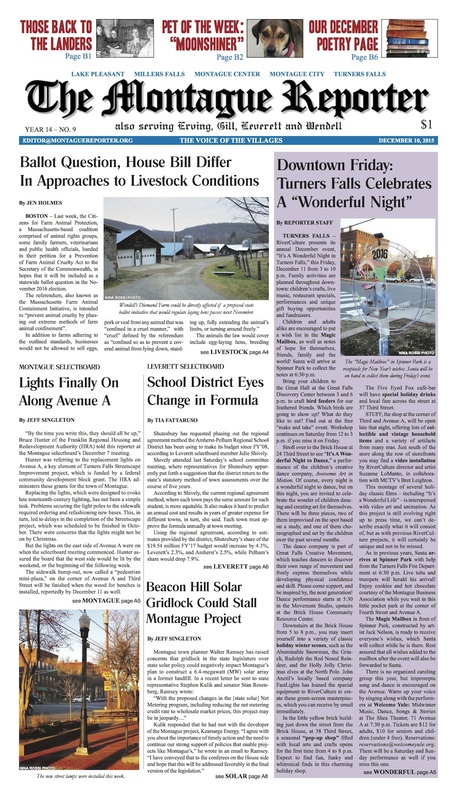 That way, in addition to knowing what’s happening where during A Wonderful Night, you’ll be an informed participant in the inevitable conversations about the new street lights, Massachusetts livestock welfare, the future of Montague’s solar project, and more. Maybe this week’s Healthy Geezer will inspire you to share your colonoscopy story over a winter beverage. Maybe you and a friend will settle in to read the Poetry Page or solve the Cryptojam while enjoying a local band. Maybe you’ll chat up Santa about this week’s police log. (You know he reads it religiously.) Anything could happen! 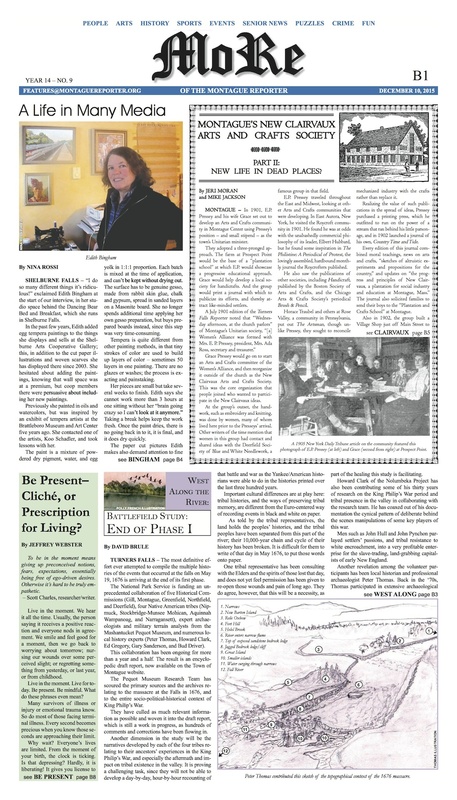 It’s another wonderful issue of the Montague Reporter, and it’s on newsstands now.